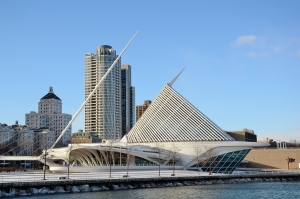 At Shred Nations Milwaukee, we provide our secure document shredding services to all of Milwaukee and the surrounding areas along Lake Michigan’s southwestern shores. Striving to meet each of our customer’s individual project size and budget, Shred Nations Milwaukee offers service including mobile shredding, offsite shredding, and electronic media destruction. With a proud history of cultures combining to make up the unique community, Milwaukee has a long history of brewing traditions, and at Shred Nations, we do our best to provide services to not just protect proprietary or confidential information of Milwaukee’s brewers, but the entire Milwaukee Metropolitan area. If you are in need of a shredding solution for your Milwaukee business, contact Shred Nations for a free, no-obligation quote on any of our shredding services today! Enjoy the convenience of one of our Milwaukee-based shredding trucks coming to your home or business and shredding all your documents right there at the curbside. Save valuable time in your already busy business day by having us come to you as opposed to making to trek to an offsite shredding facility. If you have a large-scale shredding project, our offsite shredding service at Shred Nations Milwaukee is probably your best bet in terms of value. With any service, cost increases with quantity, but when compared with mobile or drop off shredding, taking your documents to an offsite shredding facility in Milwaukee is almost always cheaper than a shredding truck making the trip to your location for a major shredding job. In a world of ever-increasing reliance on electronics and digital technology, protecting your electronic documents and personally identifiable information (PII) is only becoming more critical. Your current and old media, including CDs, fax machines, and old hard drives contain potentially sensitive information that must be properly destroyed to prevent a possible data breach, but with Shred Nations Milwaukee, our electronic media destruction service is perfectly capable of handling your digital documents. This law states that any medical business or financial institution must properly destroy any record with an individual’s personal information before disposing. Failure to comply to this law can result in fines up to $1,000, as well as potential civil liability for any damages caused by exposing sensitive personal information. This law protects against the misappropriation of a company’s proprietary information or other trade secrets. Get Free Quotes on Offsite and Mobile Shredding Services in Milwaukee Today! Shred Nations Milwaukee offers our various shredding services to homes and businesses all throughout the Milwaukee area. No matter whether you need convenient mobile solutions, large-scale offsite facilities, or up-to-date electronic media destruction, simply give us a call at (414) 306-6522, or just fill out the form to your right for a free quote on your Milwaukee shredding project. Our normal operating hours are Monday-Friday from 8:00 AM to 6:30 PM, and Saturday from 9:00 AM to 3:00 PM CST.